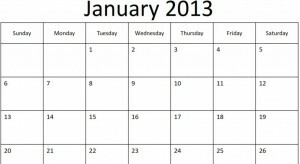 Welcome to the first post of 2013 on this blog. This year is the year of the snake, and I will be 36 at some point, so apparently it’s my time to shine. Looking forward to learning and experiencing a lot this year. This week for the first time I have finally got around to doing an annual review of last year and a plan for this one. I found the experience very interesting and useful. I’m not going to go into the details of what I ended up writing, but I thought I would share the process in case someone else might find it useful. I started off with three broad categories (work, personal, and relationships), then wrote a brief description for each based on what happened in 2012. Each category was broken down into multiple sub-categories. The descriptions were short and contained my impressions. It probably took me a couple of hours to write everything out as this was the first time I have done this. The next part was even more time-consuming, but also a lot of fun: planning out 2013. I took the same categories and sub-categories and wrote out what I wanted to get done this year. For this document, I was as specific as possible with regards to numbers, dates, etc. Finally I made a simple spreadsheet with monthly goals to be ticked off. I’m going to tape this to my computer monitor to make sure I don’t forget about the plan. Next December when I come to do my 2013 review, I’ll be able to measure my results against the specific goals I set. If you have a free day or so, I really recommend this exercise. I found it extremely useful as it forced me to think about what exactly I want to accomplish in the short-, medium-, and long-term. Hey Ben, a timely post as I set out my own priorities for the year, no review though as I fear the results. Really enjoying the blog and always get a lot out of it. Couldn’t make it to the Sendai ETJ expo last year, a bit too busy. Can you e mail me back as I want to ask about your logo design, I know I read your description of the process but can’t find the post on the ETJ group message board. Cheers. Have a great 2013 and remember 36 is just a number. Thanks for the kind words about the blog -it’s nice to have reader feedback!